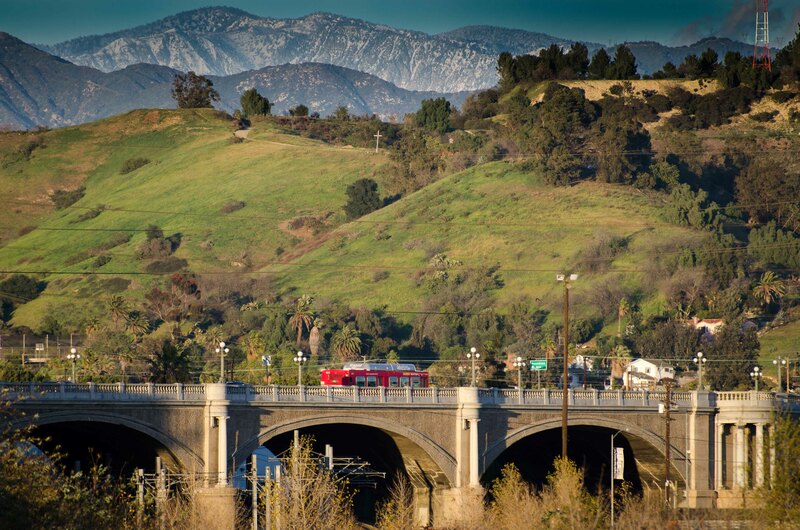 ART OF TRANSIT: A Metro Rapid bus crosses the Broadway bridge over the Los Angeles River on Wednesday afternoon, the day after a storm greened the local hills and dumped snow in the San Gabriel Mountains. Click above to see larger. Photo by Steve Hymon/Metro. Mark Lacter wrote recently that he doesn't believe it's a good idea to add bike lanes to parts of Westwood and Sepulveda boulevards on the Westside at the expense of traffic lanes. Reactions run the gamut — fun read — and the question that swirls above the issue is this: how many cyclists are using the new bike lanes in the city? The editorial lightly punches Metro for proposing new toll lanes on 13.5 miles of the 5 freeway through the Santa Clarita area before the impact of the ExpressLanes on the 110 and 10 are known (the lanes on the 10 open Saturday). Metro, however, did send a letter to the Daily News saying there's a key difference: the toll lanes on the 5 are being proposed as a way to accelerate the project and have it built by 2019 instead of 2040 or after. Councilwoman Jan Perry gets her turn in part three of the series; her interview takes place on an Expo Line platform. 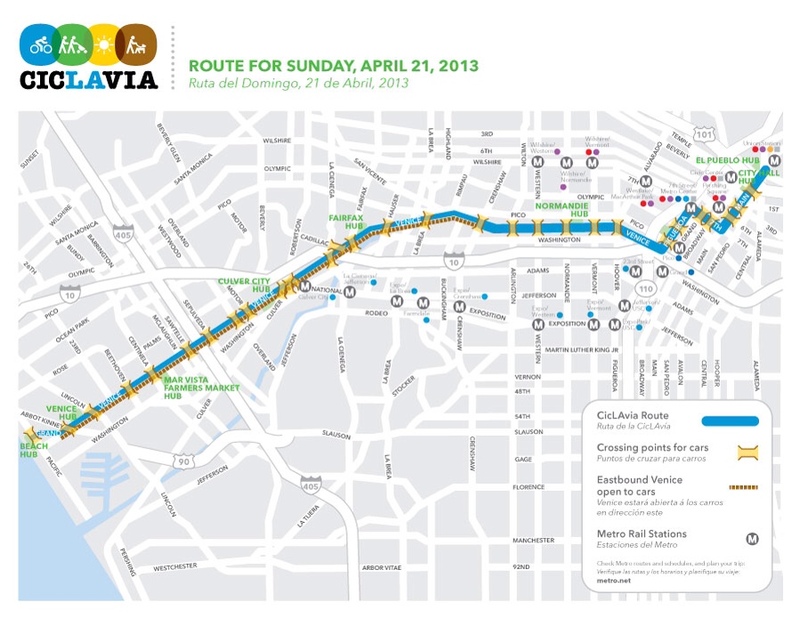 The map of the new route is out and the big to-do is that cyclists and pedestrians will be able to take Venice Boulevard from the ocean all the way into downtown L.A. The new course will also intersect with the Expo Line, Red Line, Purple Line, Blue Line and Gold Line. Thank you very much, Juan! I second Juan’s compliment, Steve. Awesome photo!